First things first, Christopher Bucktin, US Editor of the Mirror Online (www.mirror.co.uk/) recently paid Sasquatch Tracker a visit. 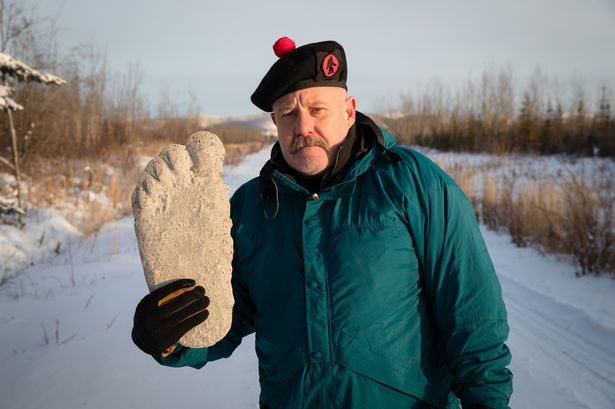 Bucktin and his photographer, James Breeden, spent the day discussing my research and the Boreal Sasquatch in general. We had a satisfying conversation and they seemed to have enjoyed Alaska even though we were all chilled to the bone during the outdoor photo sessions. If anyone is interested in the ECK (Evidence Collection Kit) mentioned in the article, please check here for the details. I have three kits in stock right now and there will be more after the first of the year according to demand. This entry was posted in 2016, Evidence Collection Kit, In the News, Shirts. Bookmark the permalink. Good article, keep up the research on the Alaska Sasquatch! Wishing you a Merry Christmas! !